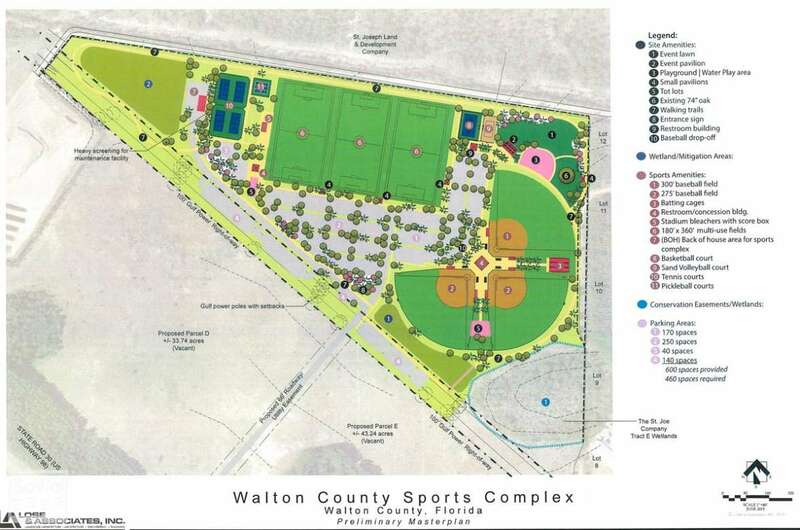 The Walton Sports Complex on Hwy 98 East of Point Washington is an exciting development for South Walton locals. Two buildings have been completed as well as shelter/dugouts for 3 baseball fields. Next phase is the installation of lighting. Once the lights are installed, work will begin to finish up the field areas and paving and installing parking lighting. Once weather permits, grass installation will proceed. Completion date is estimated for mid-year 2019. “We’re building this specifically for residents. 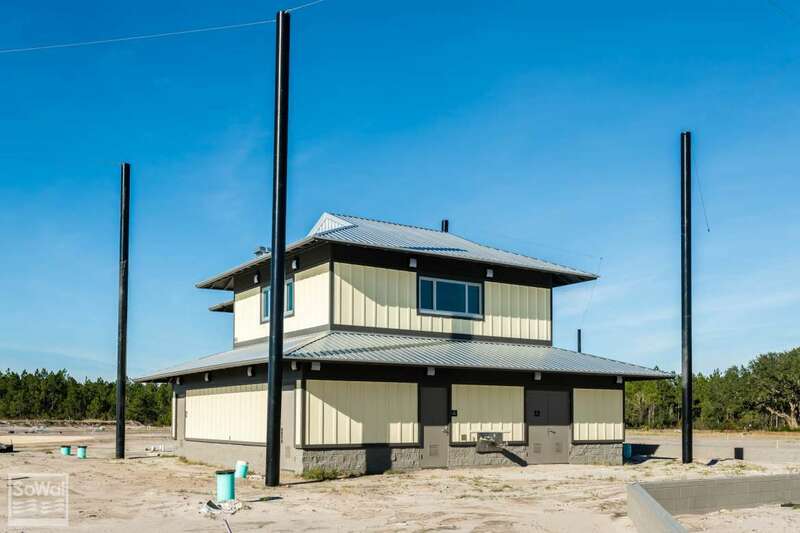 We’re not using any TDC funds and it’s not going to be used to market to any outside groups who are looking to find fields to rent,” said Walton County Commission Public Information Officer Louis Svehla. The master plan for the complex features three baseball and soccer fields, tennis courts, playgrounds, and a walking trail.